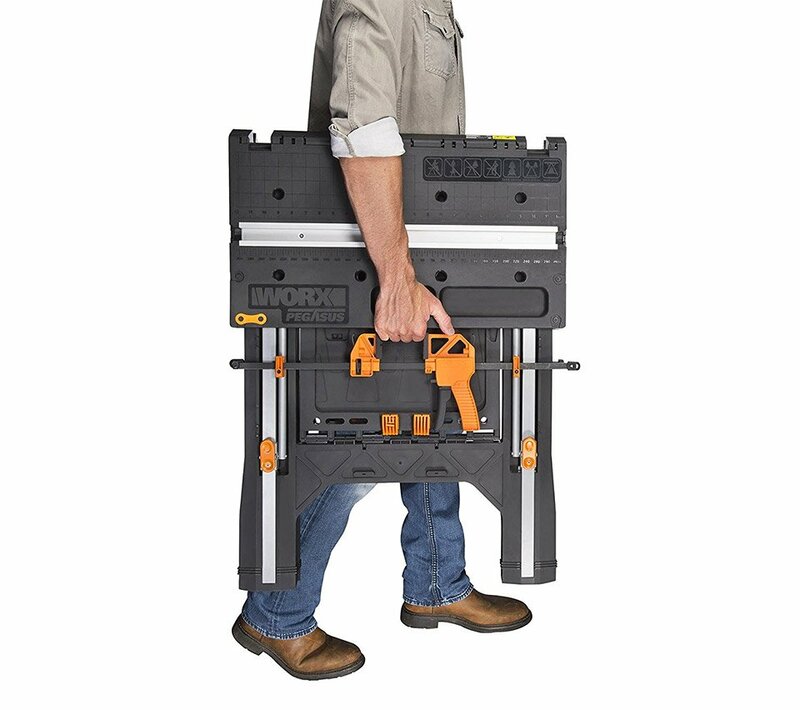 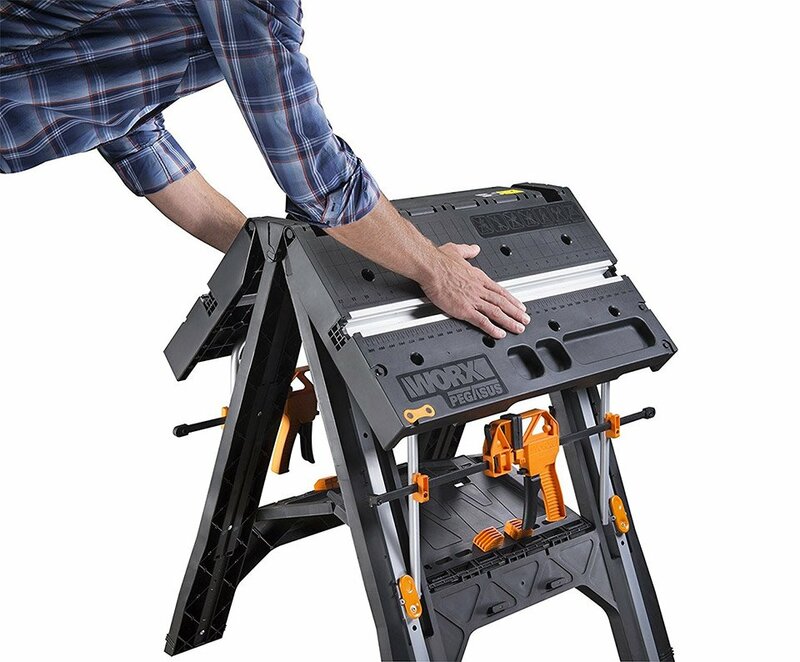 A versatile folding workbench that does double duty as a sawhorse. 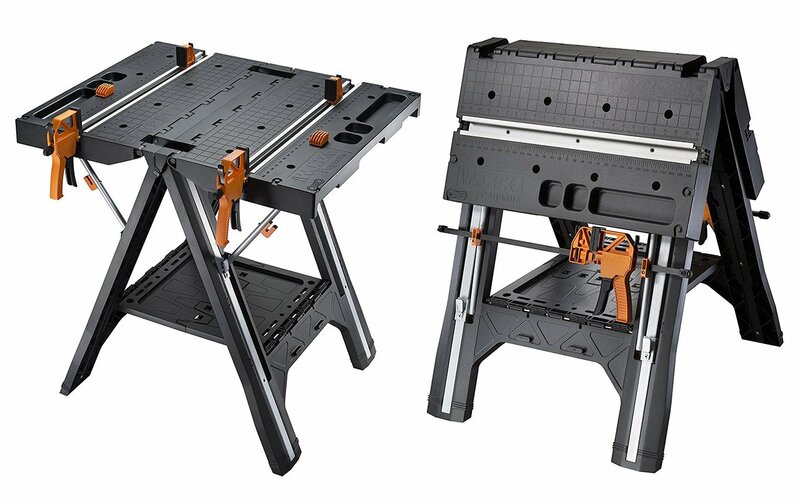 The bench includes a built-in, adjustable clamp system, with two bar clamps and four clamp dogs. 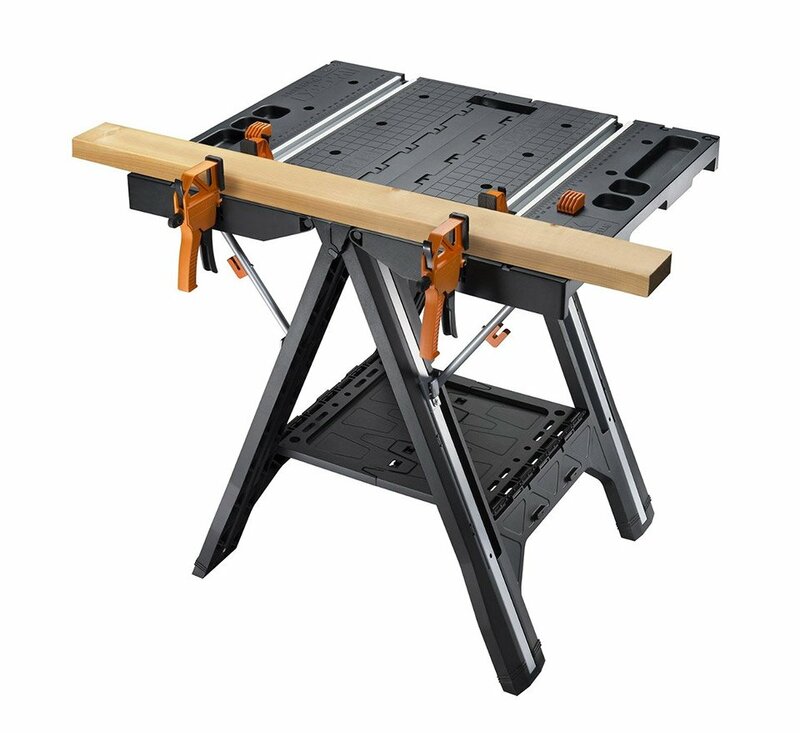 Holds up to 300 lb in table mode, 1,000 lb in sawhorse mode. 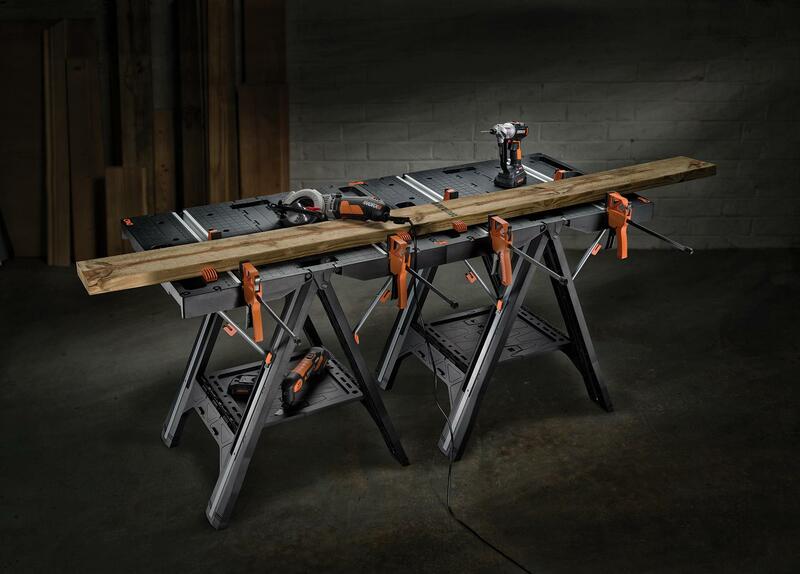 Connect multiples for a larger work surface.